Next week at the Chicago Auto Show, General Motors is expected to announce the production of the all-electric Chevrolet Bolt. According to a source familiar with GM’s plans, the electric vehicle will be built at GM’s Orion Assembly Plant in Orion Township. 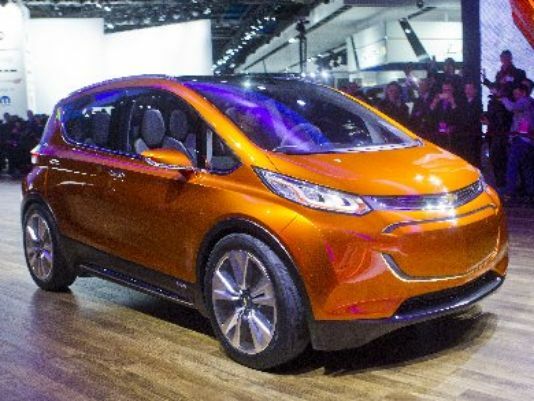 A second source also confirmed the electric car will go into production and will be built in Orion Township – but they asked to remain anonymous because the plans haven’t been announced yet by GM. According to the Detroit News, a GM spokeswoman was asked to comment but declined. Last month at the North American International Auto Show, Chevrolet revealed the Bolt concept touting it as a 200 mile EV that would start at $30,000 after incentives. At the auto show, company executives said the vehicle wasn’t planned for production yet, but could make it to market in a year or two. LMC Automotive forecasts the vehicle will go into production in late 2016 and sales would start in 2017. Chevrolet is expected to begin producing a new Sonic at the Orion plant in late spring next year, Schuster said. The Sonic and Bolt will be built off the same platform, “which is why Orion makes the most sense” to build the new Bolt, according to LMC. This entry was posted in Availability, Specifications on February 9, 2015 by Admin.